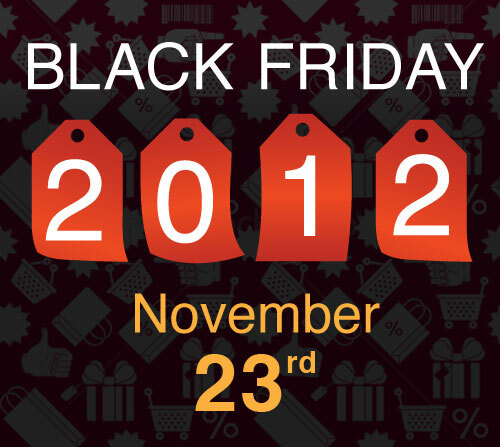 Black Friday and Cyber Monday are 2 days of the calendar that all true online shopaholics must remember. 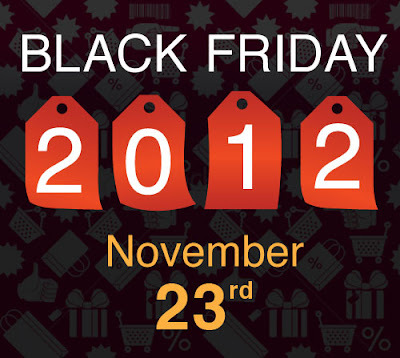 This year, Black Friday is on 23rd November 2012 (US Time) and Cyber Monday is on 26th November 2012. Why so important? You might ask. These are the dates when the US online retailers slash their prices altogether. Prices will fall like a wall street stock market crash, though this is a much happier event for shopaholics. Just an example, last year, Xbox 360 were going for US$199. That's about S$260 when Singapore prices were at $469. Even after shipping, you can still save at least S$50 easily. It is imperative that you keep yourself updated to the deals to be released by the retailers, way before Black Friday itself so that you know what to buy or rather, to allocate your spending budget wisely and who to buy from. Online retailers will release online brochures to give a glimpse of what they will be offering and sometimes from there, you can roughly know what to aim for. Some will also start to offer Countdown deals, just to "warm you up". You also need to keep yourself tuned in to spot the possible special offers. I am talking about drastic reduction type of offers. This is because some of the best deals are Lightning Deals, i.e. time and quantity limited. Once its sold out, its gone. Therefore, you must park yourself right in front of a computer and be fastest fingers first, no time for currency conversion, just click and go! Losers are the ones who hesitate. Therefore, knowing where and when to park yourself requires some homework. So how to keep yourself abreast of the news? Subscribe to this site. Blackfriday.com collates all the release from the retailers in one place. Much like VRZone and Hardwarezone always do whenever there is an IT show here. It also pays to pre register yourself with the major retailers, set up an account first. For eg. Amazon, Target, etc. So, I have bought, how to ship over to Singapore? Some sites provide direct shipping to Singapore but it may not be as economical as the other third party providers I am referring to below. There are a few shipping options available. It pays to register an account with them ahead before the sale so you don't waste time. These providers also allow you to consolidate your orders from various US merchants before sending them over to your address in Singapore. However, a time line applies. Check the terms with the respective providers. Take note that you may need to pay the shipping charges within US if the site you purchase from has no free shipping within US, i.e. you might still need to pay from your retailer warehouse to your mailing address in US. I am going to list a few here which I have tried personally. The easiest and straight forward way if you are buying from Amazon. The price and shipping is calculated for you once you add them to your shopping cart. The conversion rate is prefixed so it might be worse than the market rate. However, this is the easiest way to buy as you don't need to remember your mailing address in US via other options. The other drawback of this site other than the poor currency rate offered is that you can only purchase from selected sites only. Go to the website to find out which ones. Their customer response is also quite slow. If you are a paypal user, you can use your paypal account to pay for your purchases if you sign up with Hopshopgo.com. A US mailbox address will be given to you when you sign up. This address will be your so-called Shipping Address in US. This mailbox address is YOUR very own mailbox so it is important that you fill up this address correctly at whichever website you purchase from. Some US websites do not allow foreign credit cards as payment method. If that is the case, you may use the personal shopping service of hop.shop.go. Basically you just browse in a window under the main site and whatever item you desire, just add it to the site window which is still under hop.shop.go. Once done, check out using the hop.shop.go. interface. Try it first to familiarise yourself. Bestbuy.com is one of the retailers with this problem. On off, there will also be credit card tie-ups with OCBC or DBS, etc to offer some discounts off shipping rates. Borderlinx operates similarly to hop.shop.go but is for Citibank cardholders. Sometimes there are promotions off the shipping rate, so check out the website regularly for discount offers. They also offer you an UK shipping address as well. Vpost is another service by Singpost. But as I have not tried it myself, I cannot comment much on it. Basically there are 3 simple steps. 1) Sign up with one of the provider and get a personalised US mailing address (usually a PO Box). 2) Start shopping with US merchants and key in your personalised US mailing address as shipping address, pay for your item including any US domestic shipping charges, if any. You can order from various merchants using the same US mailing address given to you.